A landrace from the village of Bhaktapur in Nepal. Growth is rather variable from tall erect to tall and spreading. 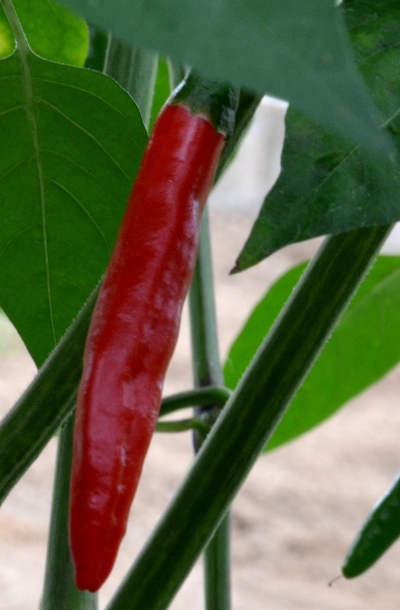 The best plants are fairly early and give a good yield. 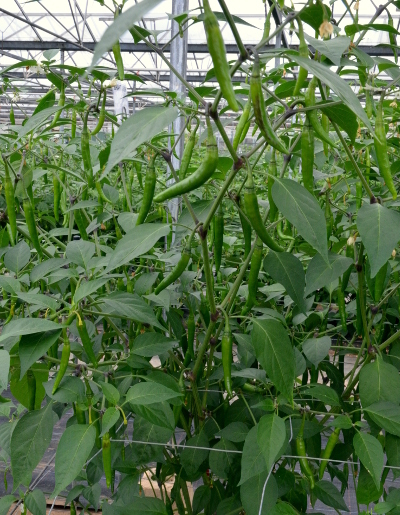 Reselection could provide a worthwhile result, but Pusa Jwala is more compact, gives a higher yield and has a better flavour. 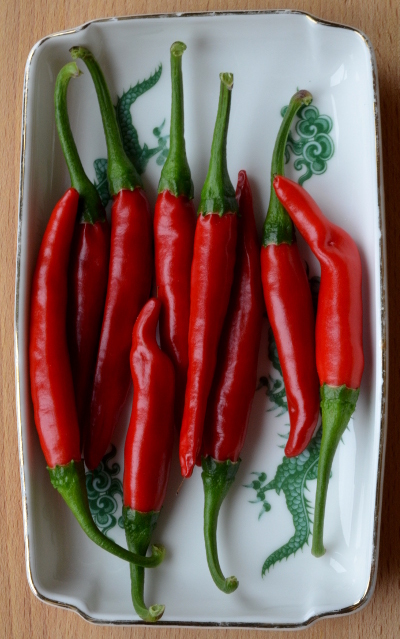 These chillies are very popular for traditional cooking in Nepal, but the tough skin limits their appeal.